Also known as Cannonball And Coltrane. This LP (whose contents have been reissued many times) features the Miles Davis Sextet of 1959 without the leader. 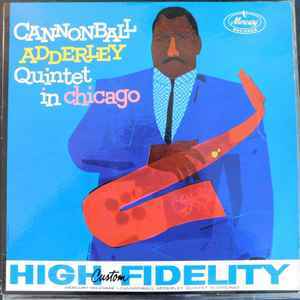 Altoist Cannonball Adderley and tenor saxophonist John Coltrane really push each other on these six selections, with this version of "Limehouse Blues" really burning. Coltrane's very serious sound is a striking contrast to the jubilant Adderley alto; the latter is showcased on "Stars Fell on Alabama." With pianist Wynton Kelly, bassist Paul Chambers and drummer Jimmy Cobb playing up to their usual level, this gem is highly recommended. This a nice little album - Led by Cannonball Adderley for his last album for Mercury, this ensemble backed Miles Davis on the "Kind of Blue" album recorded shortly after this session. Wynton Kelly only played on the tune "Freddie Freeloader" and was replaced by Bill Evans for the rest of the tracks on that album. All the tracks are decent, and the playing is solid throughout. Great recording of this two giants of jazz !